The Harvard University admissions office. It was the week identity politics ate itself. It was the week we learned that US Senator Elizabeth Warren of Massachusetts is between 1/1,024th and 1/64th Native American Indian. It was also the week that Harvard University — universally acknowledged as a bastion of American liberalism — was taken to court for discriminating against Asian-American applicants. Savor last week. It may mean that we have reached a long overdue turning point. Looking back, you can see why Warren was tempted to turn the family lore that her great-great-great-grandmother was part Native American into a full-blown claim to minority status. She built her career as a law professor during the 1980s and 1990s, when the first great wave of political correctness was sweeping American campuses. At that time, as liberal academia scrambled to appear more “diverse,” being both a woman and a Native American suddenly became the opposite of disadvantageous. Similar calculations were being made by Ivy League admissions offices as they sought ways to increase the diversity of their traditionally very white student bodies. The policy of “affirmative action” essentially lowered the academic standards expected of African-American, Hispanic, and Native American applicants. The immediate and intended consequence was to deny some well-qualified white students places at Harvard and Yale they would otherwise have won. 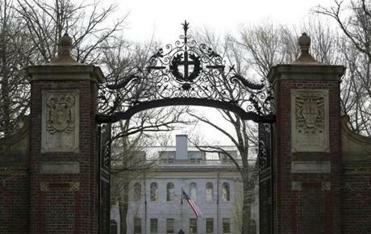 A ruling against Harvard would forever alter admissions, especially at elite colleges — for the worse. But then admissions deans noticed a worrying trend. Each year the number of very, very well-qualified Asian and Asian-American applicants was rising. Diversity was not supposed to produce an undergraduate population that was two-fifths Chinese, if not more. The goal was a rainbow nation, not Chimerica. As a Harvard professor, I first became aware of the issue when Ron Unz published a disturbing critique of Ivy League admissions policies in The American Conservative. Since the mid-1990s, Unz pointed out, Asians had consistently accounted for around 16 percent of Harvard enrollments. At Columbia, the Asian share had actually fallen from 23 percent in 1993 to below 16 percent in 2011. Yet, according to the US census, the ratio of Asians to whites aged between 18 and 21 had more than doubled in that period. Moreover, Asians now accounted for 28 percent of National Merit Scholarship semifinalists and 39 percent of students at CalTech, where admissions are based purely on academic merit. Now the advocacy group Students for Fair Admissions, which opposes affirmative action, is suing Harvard for discriminating against Asian applicants. 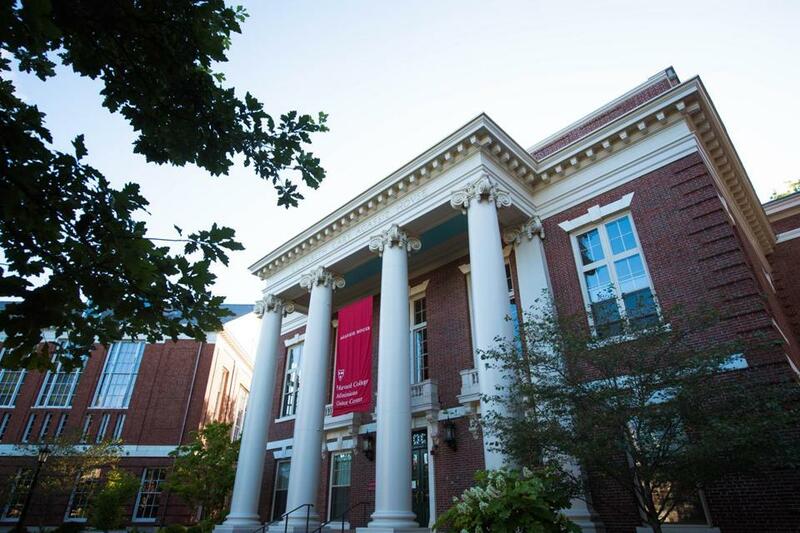 Their court filings include evidence that Harvard’s Asian applicants have better grade point averages, higher test scores, and even more extensive extracurricular involvement than their counterparts in any other ethnic group. The way the system seems to work is that Harvard admissions officers give poorer personal ratings to Asian-American applicants. “He’s quiet, and, of course, wants to be a doctor,” was the typical verdict of one interviewer of an Asian who did not make the cut. Don’t get me wrong. I loved my time at Harvard. The college’s dean of admissions, William R. Fitzsimmons, has an extraordinarily difficult task, which he has performed with great dedication for more than 30 years. In its way, each Harvard graduating class is a work of art. But the impression has nevertheless been created that Harvard has reverted to the bad habits of the 1920s, when President Abbott Lawrence Lowell sought to reduce the share of Jews in the student body by introducing loaded criteria such as “character” to the admissions process. At times, it can seem as if Americans have decided to reenact the American Civil War on the Internet, with the difference that in today’s culture war there are any number of sides and issues, rather than just two sides and one issue. Yet, as a newly published study by the centrist group More in Common shows, a reassuringly large proportion of Americans think that all this is nuts. “Hidden Tribes: A Study of America’s Polarized Landscape” offers a new political typology that divides Americans into seven political categories. On the extremes — groups one and seven — life is literally as well as metaphorically black and white. Ninety-nine percent of “progressive activists” believe that “many white people today don’t recognize the real advantages they have.” But 82 percent of “devoted conservatives” reject this, maintaining that “nowadays white people do not have any real advantages over others.” It’s the same polarized story for the whole suite of identity politics issues: immigration, sexual harassment, Islamophobia, feminism. But the picture is very different in the ideological middle. The authors of the study characterize groups two to five as “the exhausted majority.” The striking thing about this exhausted two-thirds of the population is that, though they have been completely turned off by politics, they still have views. Eighty percent of all Americans, and an even higher proportion of the exhausted majority, believe that political correctness has gone too far. Only 30 percent of progressive activists agree. And 85 percent of all Americans — close to 90 percent of the exhausted majority — also believe that race should not be considered in decisions on college admissions. Only 40 percent of progressive activists agree. This strongly suggests that the strongest proponents of identity politics are in fact out of sync with the great majority of their fellow Americans. I am not saying that, at most, 1/64th of American DNA is progressive. But I am saying that identity politics is devouring itself. And, as Elizabeth Warren can testify, it tastes bitter.